Barnevelders are named after the Dutch town of Barnevelder. 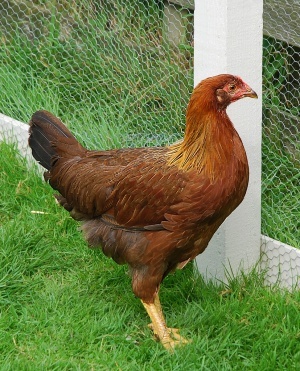 They were developed through the crossing of chickens from Asia with local Dutch breeds. 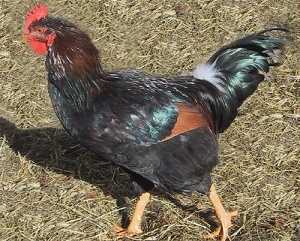 Barnevelders lay a fair amount of brown eggs. Recently, breeders have focused on this breed as a show breeder, ignoring the quality of the eggs. Now many Barnevelders lay light brown eggs. Some varieties of the Barnevelder are Double Laced Partridge (in the US), Black, Blue Laced, White/Silver (in Europe). They have short wings and high tails and their legs and feet are feather-free. Hens have double lacing in their plumage. Roosters have shades of green, violet, and bronze in theirs. Both hens and roosters are very good parents; in fact, the roosters can be more welcoming to new chicks than the females. Barnevelder chickens are easy to care for. 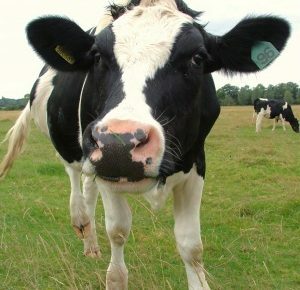 They eat greens and garlic and are excellent foragers. They are very clean and spend hours grooming and dust bathing.